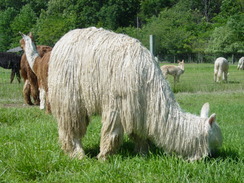 All that fleece, so pretty! The highest average scoring 2 year old female in the Scenic Sky herd, Piper has exceptional fineness, uniformity of micron and silky, slick, cool handle. Her conformation is spot on! Natural presence – that SHOW ME attitude – definitely the style of a show winner! Zannah Du is our only Suri. 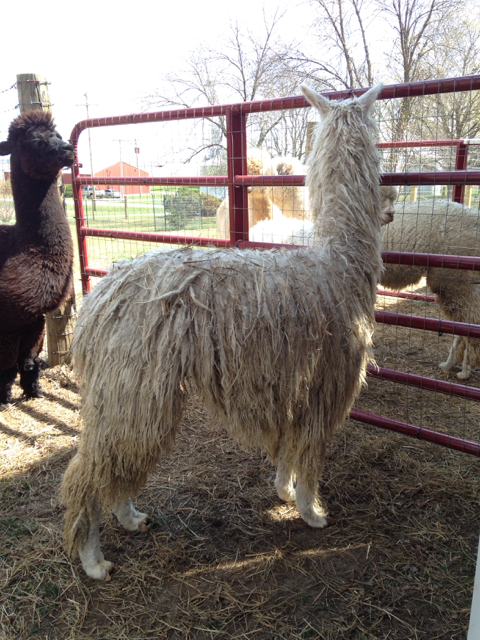 Our farm focuses on elite fiber and public awareness of alpacas. 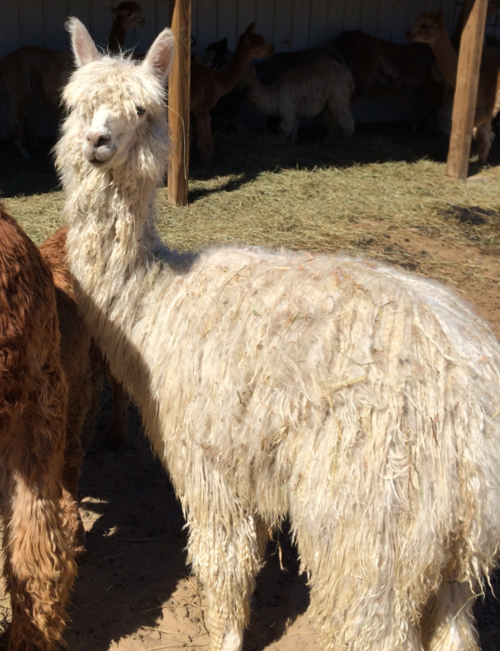 While we have a limited and very selective huacaya breeding program, we felt it was important to have a high quality Suri in the herd to represent the variety of alpacas available. Elite genetics are a cornerstone of our farm. The combination of Jax Accoyo Kalvin and a snowmass male from MacGyver can only be expected to deliver amazing results. We were not disappointed. Zannah Du was our clear and obvious choice. A banner winning Suri with a very inquisitive personality. She has quickly become a farm favorite. Zannah Du is very special to us and we know she has amazing potential. She has brought home a Banner, despite being a white animal from colored parents. Bred to color, we expect the quality of the next generation to be phenomenal. We will find out soon as she is bred to WAP Argo by Commandor, a multi-champion male. 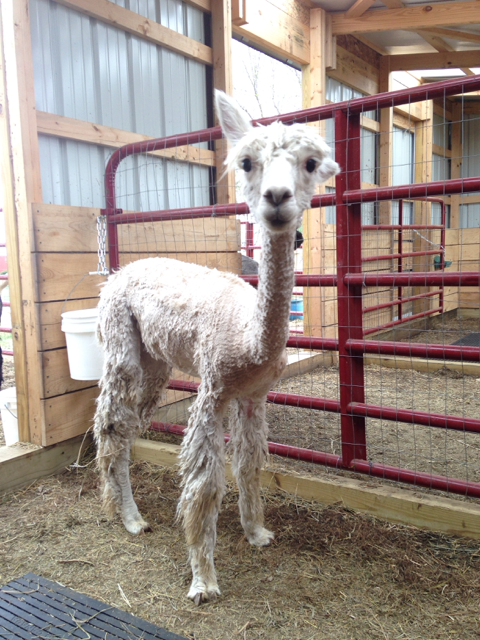 zannah Du gave birth in June with a 21 pound light fawn male that we expect to be a fantastic show Suri. 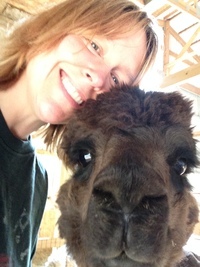 She holds a cherished part in our herd and is a great representative of all things Suri. 2017 Cottage Fleece. 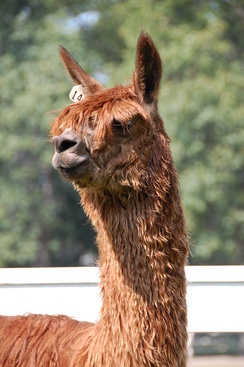 National Alpaca Fleece Conference. 2-yr old white. 2017 Spin-off. National Alpaca Fleece Conference. 2-yr old white.